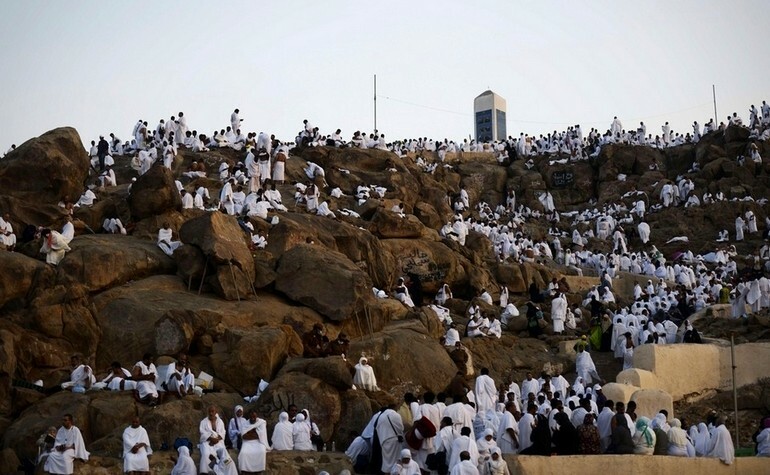 Mount Arafat or Mount Arafah is a granite hill east of Mecca in the plain of Arafat. Arafat is a plain about 20 km (12 mi) southeast of Mecca. Mount Arafat reaches about 70 m (230 ft) in height and is also known as the Mount of Mercy According to Islamic tradition, the hill is the place where the Islamic prophet Muhammed stood and delivered the Farewell Sermon to the Muslims who had accompanied him for the Hajj towards the end of his life. Muslims also say that it is also the place where the Adam and Eve reunited on earth after falling from Heaven. It is the place where Adam was forgiven, hence it is also known as Jabl-ar-Rahmah (the Mount of Mercy). A pillar is erected to show the place where the aforementioned took place. 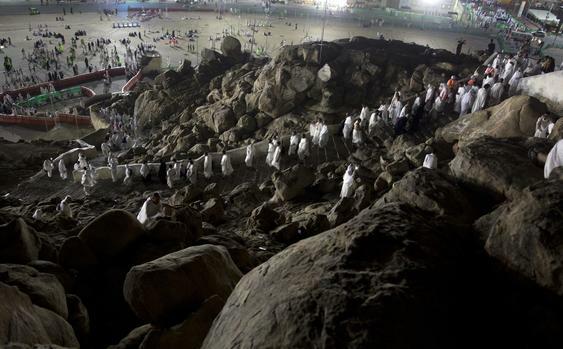 On the 9th of the month of Dhu al-Hijjah pilgrims go to Arafat from Mina, for the most important part of the Hajj. The Khutbah of Hajj is narrated and Zuhr prayer and Asr prayer are prayed together. The pilgrims spend the whole day on the mountain to supplicate to Allah to forgive their sins and to pray for personal strength in the future.